Transaction logs are important since they keep track of all transactions that occurred at a given period of time. However, there are instances that the logs become a long list and need to be cleaned up. 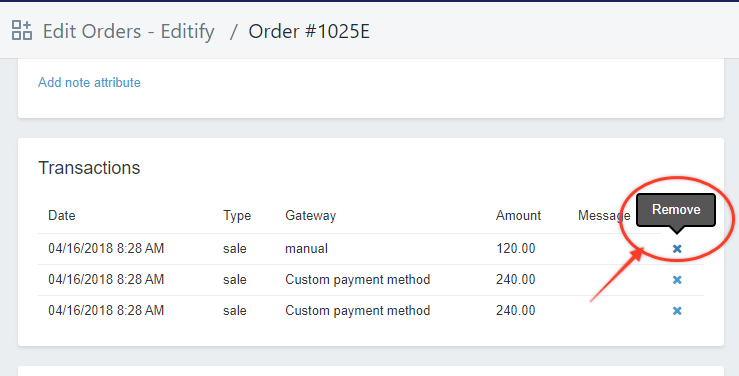 In this article, we will learn how to remove transaction logs using Editify. Step1. 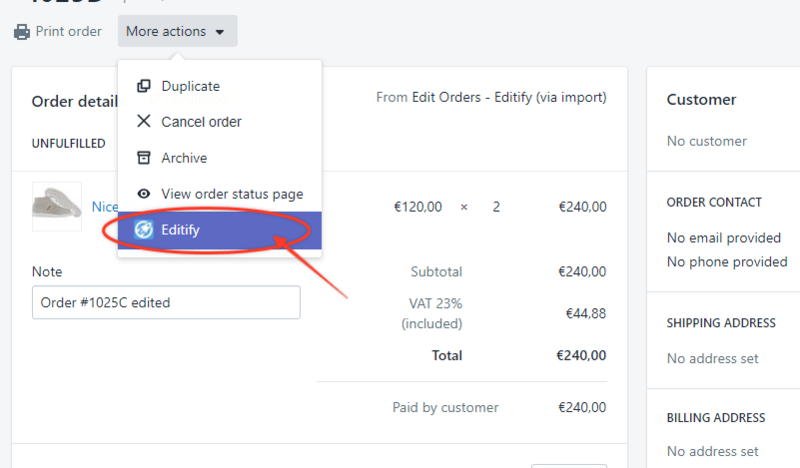 In the Orders page, click on the order that you want to edit. Step2. 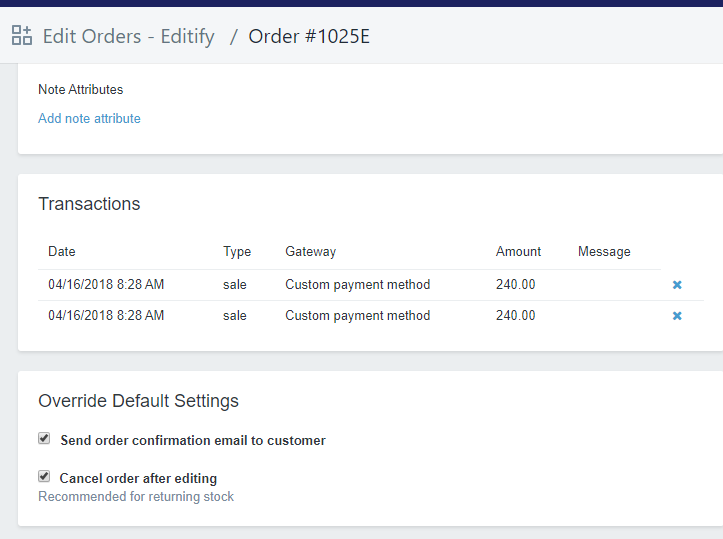 Click More actions and then choose Editify. Step3. Scroll down to the Transactions section. Step4. 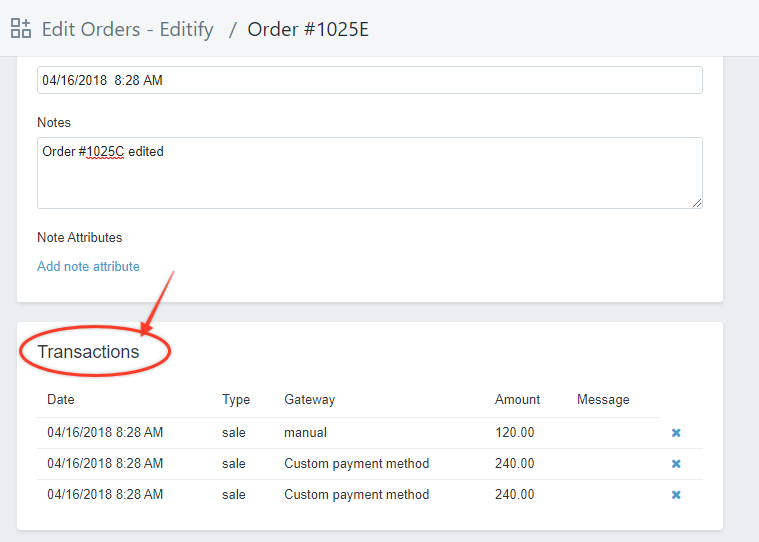 Choose the transaction that you want to remove by clicking on the x button beside it. The Remove bubble will appear when you hover the mouse over the x button. The selected transaction will be automatically removed from the list.